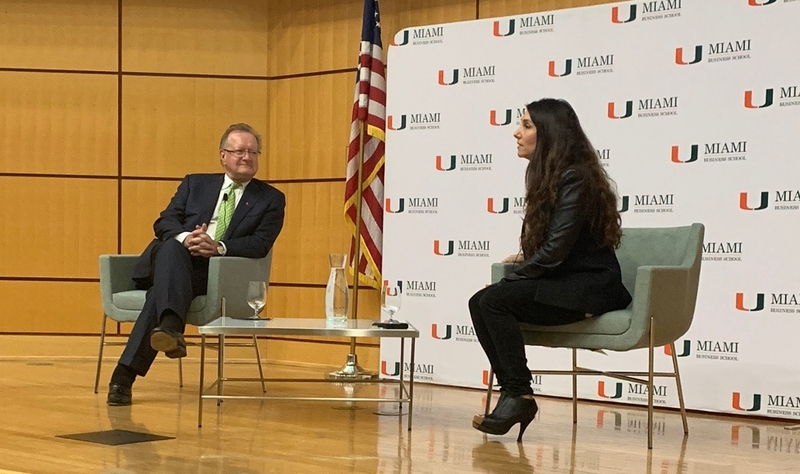 Jaclyn Baumgartner, CEO and Co-Founder of Boatsetter, a leading online marketplace for boat rentals, presented on Thursday, January 17, as part of the Miami Business School’s Distinguished Leaders Lecture Series. The company makes privately-owned boats accessible in over 300 locations worldwide to renters in a legal, safe, and insured manner. Baumgartner focused on the vision of the company, how the company first began, and how to know if it’s worth pursuing an entrepreneurial life. Baumgartner went on to discuss the different factors it takes to build a successful company as an entrepreneur. To view the entire lecture, click here.